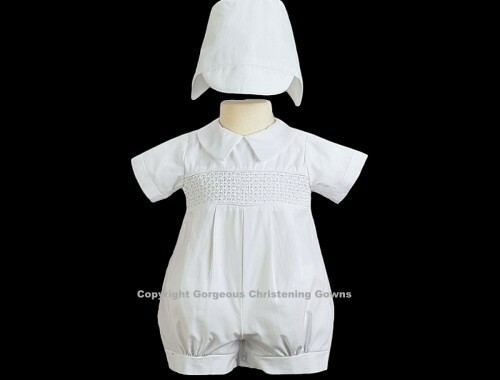 A classic one-piece white smocked romper for christenings or any other special occasion. 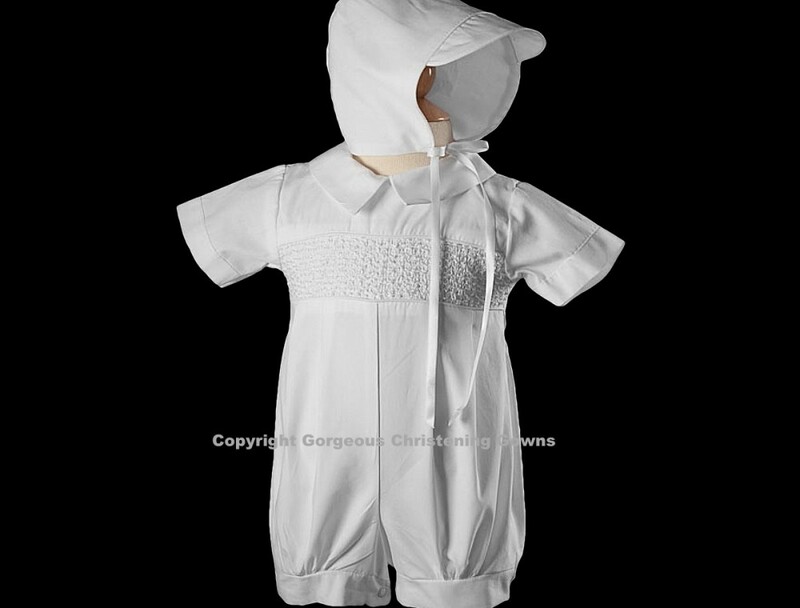 It features short legs, a pleated front, pointed Peter Pan collar and a striking smocked inset across the chest. Snaps in crotch, and buttons in back to the waist. 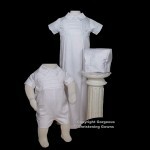 Great choice for a simple, yet masculine blessing outfit for boys. 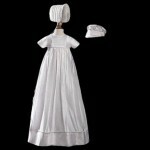 Includes matching cap that ties on baby’s head with a ribbon. Made of a luxurious 100% cotton fabric with some polyester lining on the inside. 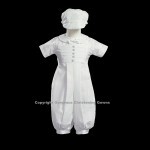 ‘Sailor Boy’ Handsome Boys White Sailor romper accented with navy.